This example shows how to read and write data to and from an SD card. Please click here for more information on the SD library. 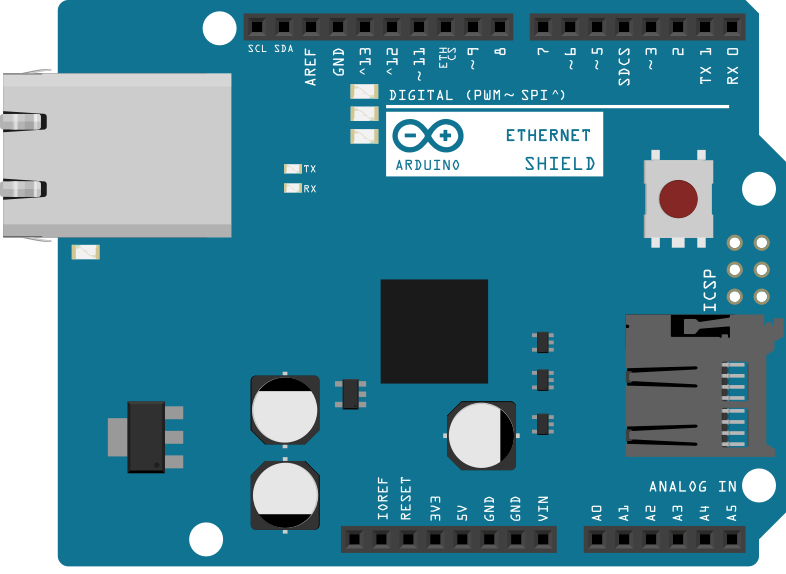 The Arduino or Genuino board has to be connected to the Ethernet Shield and also has a USB cable connected to the computer. 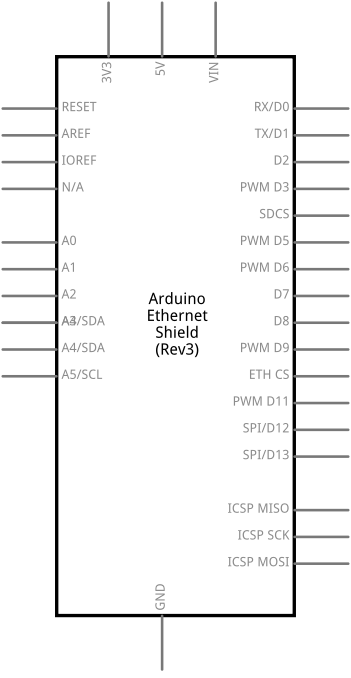 The code below is configured for use with an Ethernet shield, which has an onboard SD slot. In the setup(), we call SD.begin(), naming pin 4 as the CS pin. This pin varies depending on the make of shield or board you are using. In setup(), create a new file with SD.open() named "test.txt". FILE_WRITE enables read and write access to the file, starting at the end. If a file "test.txt" was already on the card, that file would be opened. Name the instance of the opened file "myFile". Once opened, use myFile.println() to write a string to the card, followed by a carriage return. Once the content is written, close the file. Again, open the file with SD.open(). Once opened, ask the Arduino to read the contents of the file with SD.read() and send them over the serial port. After all the contents of the file are read, close the file with SD.close(). SD library - Your reference for the SD Card library. CardInfo - Get info about your SD card. Datalogger - How to log data from three analog sensors to an SD card. DumpFile - How to read a file from the SD card. Files - How to create and destroy an SD card file. Listfiles - How print out the files in a directory on a SD card.